Amazon has just launched its Prime Now one-hour delivery service in Birmingham. Place your order, and as long as you live in one of the select inner-B postcodes, your new toy will be delivered within the hour. Deliveries will be made from an Amazon building in the Erdington area of Birmingham.Enter BIRMINGHAM at checkout to get£20 off your first order of £50 or more. It doesn't offer Amazon's full stock, but a mere 20,000 items. These span everything from food and drink to toilet paper to gadgets and toys. You'll have to be a member of Amazon Prime – which costs £79 a year – and to pay a £6.99 delivery charge. You can choose a two-hour window from anytime between 8am and midnight on any day of the week and Amazon will ship it for free. As well as the previously-launched London operation, the service is available in Birmingham and in selected postcodes which surround the city including Lichfield, Cannock and Tamworth. 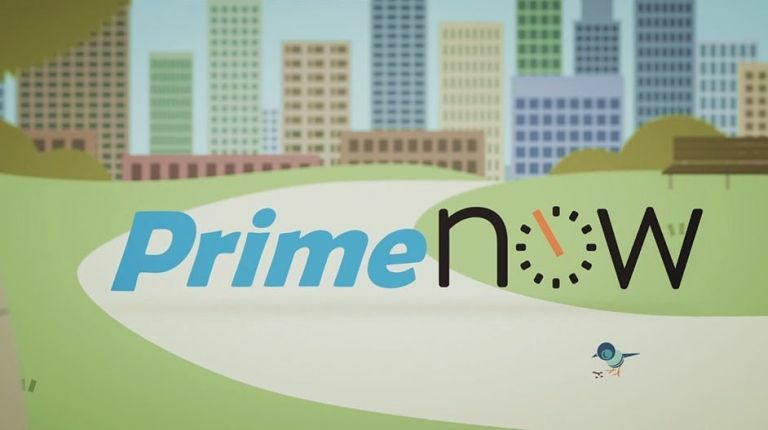 Prime Now will also be launched in additional UK cities by the end of the year. Each order needs to be at least £20 – that's a lot of toilet paper. To use the service, download the dedicated Amazon Prime Now app on your iOS or Android device and start shopping. The fastest London Prime Now delivery to date was a Netgear Wi-Fi Range Extender which was ordered at 10:32am, shipped from Amazon's Bow delivery station and delivered at 10:44am to a postcode in Canary Wharf. While we're on the topic of Amazon UK, why not check out our Amazon Fire TV Stick review?